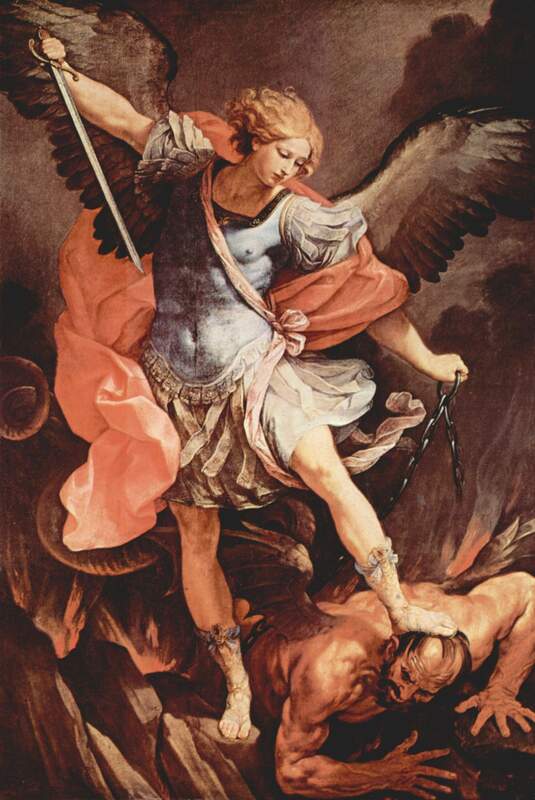 If there was ever a time in history when we needed the intervention of angels, and particularly the Archangels – the most famous of which is St. Michael the Archangel, it is now! I am not the only one to recognize that even our secular headlines scream this. The world is topsy turvy, and violence and evil is seen at every turn. So what can we do? Well for starters, we each need to be a force for good in the immediate circles around us. This is not easy, as we are all prey to concupiscence, or the tendency to sin. Mark 1:40-42 A leper came to (Jesus) begging him, and kneeling he said to him, ‘If you choose, you can make me clean.’ Moved with pity, Jesus stretched out his hand and touched him, and said to him, ‘I do choose. Be made clean!’ Immediately the leprosy left him, and he was made clean. “Dear children, let this Scripture passage be your focus this Lent. Do you know how ardently I long to cleanse and heal you? Then come to me on your knees and ask with faith and trust. I will not refuse. But more than that, I long to heal the leprosy of sin that has filled the world with death and decay. The stench permeates everything and only the fervent incense that rises from those few faithful keeps me from annihilating my beloved creation. So offer this leper’s prayer most fervently in the Divine Will on behalf of all—even the worst sinners. The bandages are being removed; the festering wounds are being exposed. Children, pour the balm of the Divine Will over the world. Let our desires merge and fuse. Let my longing be your longing, and let your prayers perfectly reflect the Divine Will. Conversion is what I desire, not condemnation. You, my children, are being called anew to participate in the salvation of souls. Enter into the Divine Will and pray!” A purported word from Jesus to visionary Janet Klassen on February 14, 2018 at https://pelianitoblog.wordpress.com/ (emphasis my own). 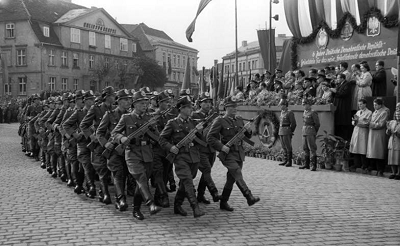 I have written here many times – particularly in the series “The State of Chaos” of dreams and visions of a coming time of chaos and totalitarian type rule. I don’t wish to repeat these here today, but stress that if these and others’ visions of these coming times do indeed come to pass (and indeed we already see chaos in many areas) it is of great importance that the remnant of faithful believers are united and prepared to stand firm in our faith – for ourselves, our families, and those around us whom God wishes to save from darkened consciences. How daunting these times seem – even with eyes of faith. The good news is that our God is ever waiting to help us along the way, and has provided his holy messengers – angels – to lead us along the path. We always have them at our side; we just need to call on them. Exactly 33 years to the day prior to the great Miracle of the Sun in Fatima, that is, on October 13, 1884, Pope Leo XIII had a remarkable vision. When the aged Pontiff had finished celebrating Mass in his private Vatican Chapel, attended by a few Cardinals and members of the Vatican staff, he suddenly stopped at the foot of the altar. He stood there for about 10 minutes, as if in a trance, his face ashen white. 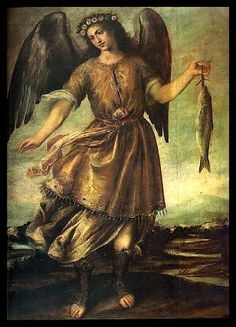 Then, going immediately from the Chapel to his office, he composed the prayer to St. Michael, with instructions it be said after all Low Masses everywhere. In 1886, Pope Leo XIII decreed that this prayer to St. Michael be said at the end of “low” Mass (not “high”, or sung Masses) throughout the universal Church, along with the Salve Regina (Hail, Holy Queen); and the practice of the congregation praying these prayers at the end of Mass continued until about 1970, with the introduction of the new rite of the Mass. As I was praying thus, four large angels – all made of the same white stone (St. Michael was in the middle of them and slightly higher in the air than they were and was leading them) – began to descend toward me from the air. I don’t know who the other three angels were, but they were all in the same appearance of white stone. As they descended toward me as I was praying the most amazing thing happened! 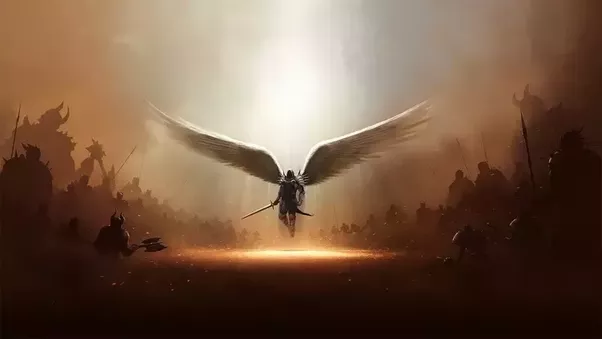 As I stood – almost pressed to the brick wall behind me, arms up trying to defend myself, watching the angels approach – all of a sudden St. Michael began hurtling balls of brilliant white light like lightening square at my situation – they began to hit it square in the face – head on if you will. 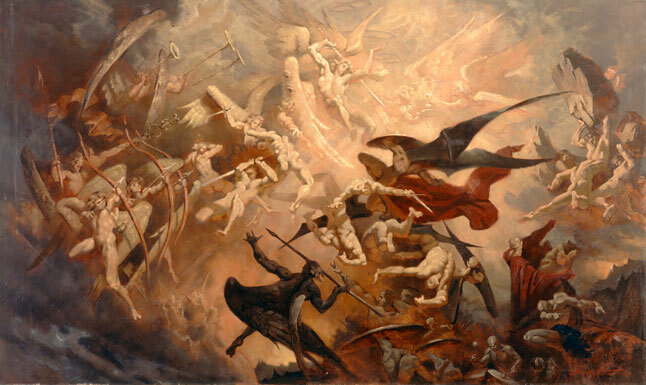 I was being defended by these angels and I was slightly off to the left, completely safe & innocent, while the angels came in, and St. Michael just bombarded my situation with that white light (grace?) in my defense. These powerful angels, and indeed all God’s angels – particularly our Guardian angel – stand ever at the ready to help us in the increasing heat of our personal and human battle against the forces of darkness. We must increasingly learn to ask for their intercession. The prayer to St. Michael is a well known one, but I repeat it here and strongly suggest you embed it to memory so that it can be recited at any time. May God bless you on your journey this Lent.